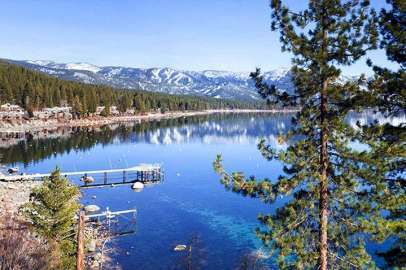 Located in the heart of the North Shore of Lake Tahoe, Carnelian Bay is a boater’s paradise. The town was named in 1860 after the semi-precious red and yellow stones dotting the shoreline and each year boat fanatics from around the country return to the shoreline with their classic woodies to the Concours d’Elegance wooden boat show for a weekend of nostalgic Lake Tahoe cruising. Carnelian’s two state beaches belong to dogs, kayakers and sunset seekers and in winter, Carnelian Bay’s central location is within close range to over 10 ski resorts.